What does the biggest freshman series in a decade do for an encore? That's the challenge for Empire, Fox's massively successful hip-hop soap opera, as it returns for Season 2. The show's executive producers—along with Emmy-nominated star Taraji P. Henson, who plays Cookie Lyon—laid out their sophomore-season plans when they met with reporters Thursday at the Television Critics Association's summer press tour. This season of Empire will be bigger, quite literally. Fox extended the show's Season 2 order from 12 episodes to 18, an increase that creator Lee Daniels called "terrifying." But Empire's showrunner, Ilene Chaiken, quickly added that "Fox gave us this really great schedule and plan for unveiling the show. Two pods—10 episodes [in the fall] and eight [in the spring]—with a hiatus in between. Nothing is different. We're able to devote as much time and attention to each episode as we did in the first season. We'll get a little bit of a break in between to catch our breath, writers and actors, and the show will be every bit as good. We're not feeling any sense of having to do too much, running out of story. We have all of the energy that we had in the first season to make every episode great." As often happens when a show becomes a hit, Season 2 will feature a slew of big-name guest stars. Already, Chris Rock, Pitbull and Ludacris have been announced, while Daniels said he's also working to woo Mariah Carey, Denzel Washington and Oprah Winfrey to make appearances. But Daniels also wants to make sure the guest stars don't detract from the characters that made the show so popular in its first season. "I find that, the more celebrities, the more stars that I put on this show, the more it takes away from the family," he said. "Family's the most important thing. So if we can bedazzle you with a little Denzel, a little Oprah, whatever, that's okay. But I gotta stick to the family." The show will also keep pushing the envelope for broadcast television. "I'm like, 'Do you really want me to say that?'" Henson said of her scripts. "Prime-time network television has been so safe for so long, and I think that's why Empire has had the impact that it has had—because it's almost the cable formula. We're just not using the words. We can't say certain words, but Cookie can certainly say it with a look. And you know what she means." Added Daniels, "When I'm afraid—do we really want to do this?—then I know I'm in a safe place." Producers said they knew from the beginning of last season that Empire's patriarch, Lucious Lyon (Terrence Howard) wouldn't actually die from ALS; he found out late in the season that he had been misdiagnosed. "I said he had ALS, because if he misbehaved, you know what I mean?" said Daniels, possibly only partly joking, of Howard. 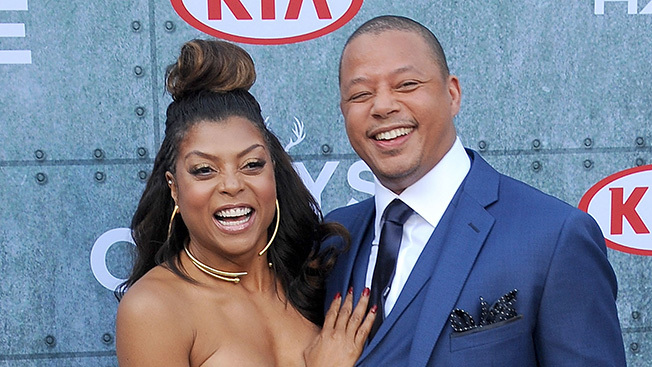 Beyond planning for Season 2, Daniels is already making plans to expand Empire's, well, empire. "There is going to be a spinoff from Empire, without question," he said. "There's so much ripe story, we've talked about it in the [writers'] room already, about Cookie's family—what makes her her. Lucious' family—what makes them them. That in itself is fascinating to me and is stuff that I can relate to." But the new music-based series Daniels is developing for Fox—Star, about a band that forms in Atlanta—won't be connected to the Empire universe. "This is a completely different thing," said Daniels of Star. "This is another part of my life that I haven't shared with anybody."